Got kids? Got grandparents and family visiting? 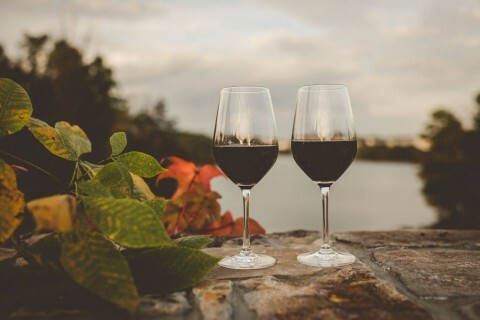 Maybe you’ve got a party spirit rearing to go. Or maybe you prefer to enjoy New Year’s Eve in a peaceful, quiet setting. No matter what, we’ve got you covered this New Year’s Eve in the Winchester and surrounding Frederick County area with some ideas on what to do from the day before to the day after. Need help getting home safely? We’ve got a number of cab companies and Uber! Please note: Hours/events listed below have been checked before posting, however are subject to change. Please double-check before making plans. 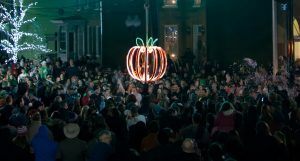 Saturday, December 31 – 10am-Midnight throughout the Old Town Winchester area, culminating with the Apple Drop at midnight on the walking mall. Buttons $10 for adults, children under 10 are free. Reserve buttons online here (with a $2 convenience fee), or purchase at these locations. Friday, December 30 – Open from 10am-4pm (regular admission prices). Saturday, December 31 – Open from 10am-4pm as part of the part of First Night Winchester celebration (free admission with First Night Winchester botton). Sunday, January 1 – Closed. Friday, December 30 – Open from 9am-5pm (regular admission prices). Saturday, December 31 – Open from 12pm-4pm for the New Year’s at Noon event (regular admission prices), and later as part of First Night Winchester celebrations from 4pm-7pm (free admission with First Night Winchester botton). Saturday, December 31 – Open from 8am-12pm – Very popular local event, with proceeds benefitting the Adult Care Center of the Northern Shenandoah Valley (free admission but show up early as the best items go fast!). Friday, December 30 – Open from 5:30pm-9:30pm (regular non-peak admission prices). Saturday, December 31 – Closed. Sunday, January 1 – Open from 5:30pm-9:30pm – final day of the season (regular non-peak admission prices). 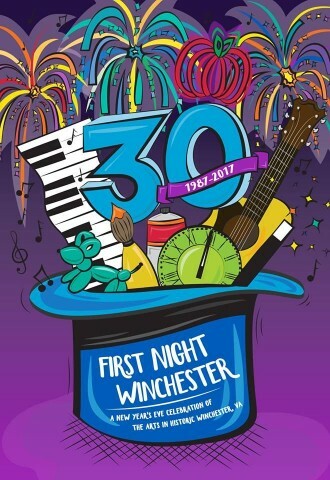 Saturday, December 31 – Open from 6pm-10pm – part of First Night Winchester celebrations (free admission, First Night Winchester buttons not required, but donations accepted). Saturday, December 31 – 10pm-Midnight – “When Harry Met Sally” New Year’s Eve Party. Show starts at 10pm, special champagne toast at midnight. Saturday, December 31 – 7:30pm-11pm – New Year’s Show & Afterparty featuring 5 live bands. $10 cover, or $8 if you bring canned goods for donation to the Blue Ridge Area Food Bank. All ages. Friday, December 30 – Open from 10am-8pm – final day of the season (regular admission prices). Candlelight tours 6p-8p.